The Saanichton Christmas Tree Farm was established by brother and sister, Mike and Joan Fleming in 1981. Having been raised on a farm at Elk Lake in Saanich, the two combined their knowledge of forestry and agriculture to create a farm abundant in quality fresh produce in-season and premium B.C. Christmas trees. Over the past four decades, the farm has provided a unique educational experience for its visitors and continues to serve its community as a valuable resource for a variety of sustainable farming practices. 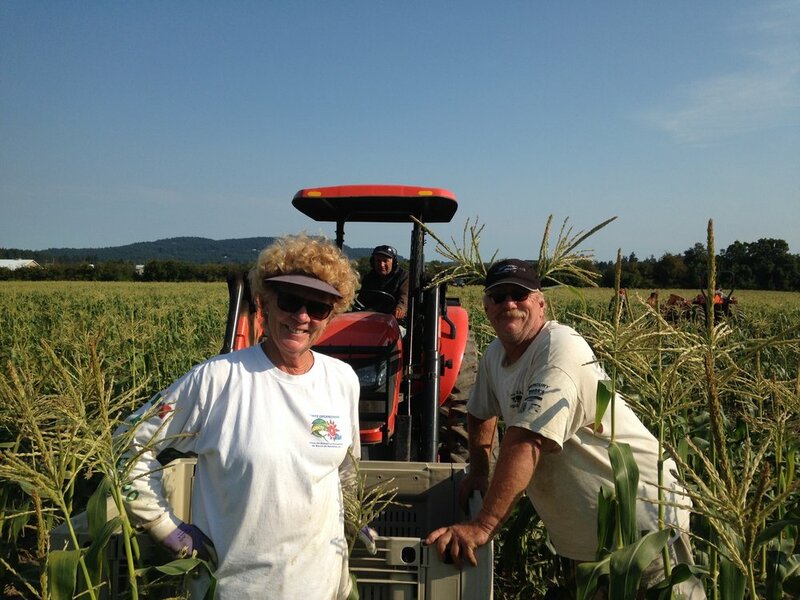 Over the years, Mike and Joan have been involved heavily in the community and are long-standing members of the North and South Saanich Agricultural Society. Mike was a past President of the BC Christmas Tree Association and Joan is a member of the Victoria Dahlia Society and has been the Convenor of the Flower Section at the Saanich Fair for over 25 years. The farm is a long-standing proud supporter of the Central Saanich 4H Club. Each year, the farm gives back to the City of Victoria by donating a Christmas Tree which sits proudly in the rotunda of the BC Legislature building in Victoria. Throughout the year, the farm offers a large variety of produce including fresh fruits and vegetables, flowers, squash and 17 different varieties of premium B.C. Christmas trees. Year-round, a variety of award-winning preserves including jams, jellies, chutneys and pickles are also available. Visit us at the farm where we have a self-serve stand open Spring through Fall and Santa’s Workshop open during the Christmas season.